68 FEET OF YOUR OWN WATERFRONT OASIS Renovated in 2015 just about a brand new home new plumbing, electrical, siding, roof, styrofoam insulation, hardwood floors; in other words its been done. 2nd floor features master suite with walk in closet w/system, full bath, hardwood floors, vaulted ceilings, balcony overlooking the river with incredible views, the additional 2 bedrooms on the 2nd floor. 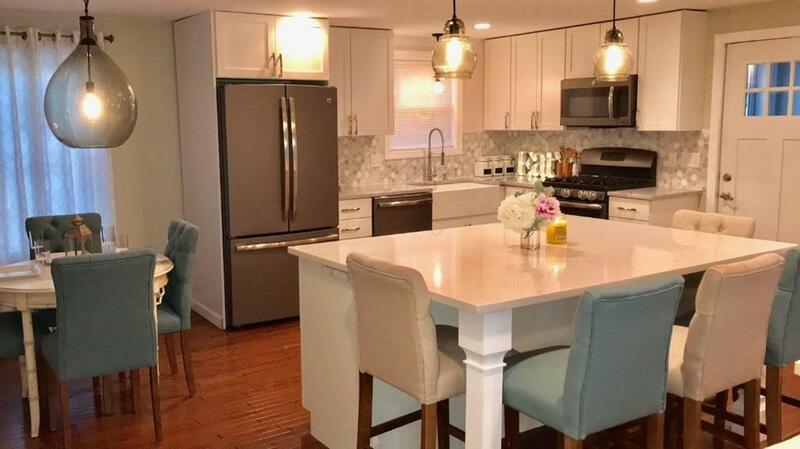 1st floor featuring hardwood floors throughout this open floor concept living area with a gorgeous kitchen, stainless appliances, granite countertops, 6 foot island with quartz counter. Did I mention NO FLOOD INSURANCE REQUIRED!! Wake up to a morning coffee looking out at your boat and dock, cookouts just outside the French doors on the composite deck overlooking the river with direct access to the ocean. Unobstructed views. Property is close to public transportation, Hingham ship yard, commuter boat to Boston, Wessaguessett beach, Quincy center and shopping!